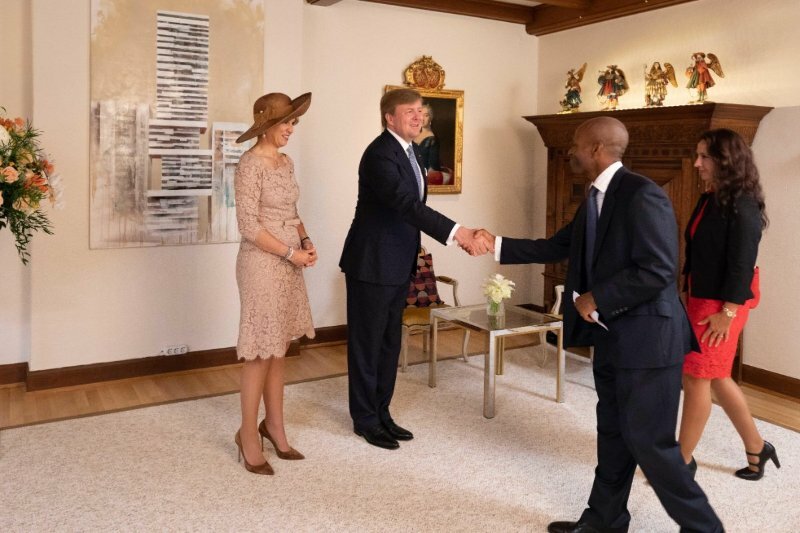 Yet, this happened on the 25th h May 2018… During a 3-day state visit in Luxembourg, King Willem-Alexander and Queen Maxima came to the Dutch Embassy in Luxembourg City. It all started approximately two months ago. My husband, being Dutch, had received an email asking if we wanted to attend this event. Only Dutch citizens residing in Luxembourg were invited and they could bring their partner along. We both had to apply to an official website, so that a full background screening could take place. And a few weeks later, we got the confirmation: we were allowed to join the event to go and shake hands with the King and the Queen of the Netherlands. I found it hard to believe that they would both take time to shake hands with 300 selected guests… We had received some guidelines regarding the dress code, but I had other questions in mind: how do we address them? How do we greet them? We did not have the answers but we thought we would hear everything on that day. ‘D-day’ arrived quickly. When we arrived at the Dutch Embassy, a lot of people were already there in the garden. It was a gorgeous sunny day and everybody was dressed well. We started to mingle and soon after, a gentleman came on stage to do the announcement. He mentioned that King Willem-Alexander and Queen Maxima had arrived and that we could go and greet them in one of the rooms of the Embassy. As a coincidence, my husband had also been chosen to be part of a ‘round table’. The participants of these round tables would get a chance to speak for a few minutes with the King or the Queen afterwards. These participants had to come forward first to meet the royal couple. And so here we were, standing in line, waiting to meet them. As we were standing, I was trying to look and check what people were doing, how they were greeting them, as we had not been told anything. To my surprise, everybody was shaking hands normally with the King and the Queen! And before we knew it, it was already our turn. A man mentioned our names out loud and off we were. We were standing in front of King Willem-Alexander, King of the Netherlands and his wife, Queen Maxima. We first shook hands with the King and then the Queen. I smiled and addressed them as ‘Your Majesty’.